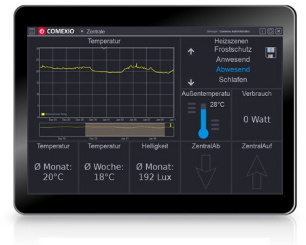 The COMEXIO IO SYSTEM is the fully browser-enabled system for your inexpensive introduction to an intelligent building. You can start with an IO server, which carries out all control tasks. In this way Comexio offers numerous areas of use, from controlling the roller shutter blinds and heating, to switching the lighting and electrical equipment on through to efficient energy management. The use options are almost limitless! Integrate, e.g. 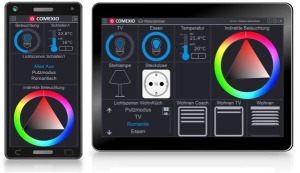 EIB/KNX sensors and push-buttons in COMEXIO or add logic functions and data displays to existing installations. 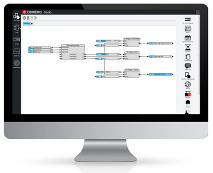 By the way, your can also use COMEXIO as an EIB/KNX IP gateway for programming. The IO is perfectly harmonised with practice, is flexible in use and makes it possible to connect directly conventional sensors, scanners and actuators. Universal inputs for different voltage levels, floating relays with current measurement and inputs and outputs that can also be used digitally, e.g. for canners, make possible usage that is completely flexible. Light, heat, energy and safety are largely controlled by the COMEXIO system. However, you can also intervene at any time using a smartphone, computer or tablet. Even on the move! Different sensors and you, of course, provide the COMEXIO system with information. It processes this information according to a logic circuit fixed by you and puts different processes into motion. Completely freely-configurable visualisation for virtually every browser-enabled terminal device such as a smartphone, tablet, computer or touchscreen. 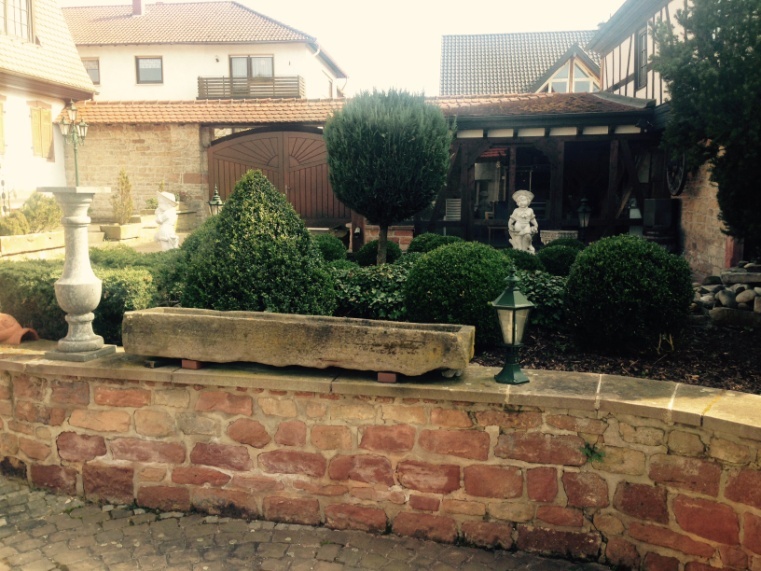 Implement almost any requirement simply via drag and drop live and from any location. There are no limits for your imagination. Make your power and energy consumption transparent with the powerful, integrated monitoring tool. 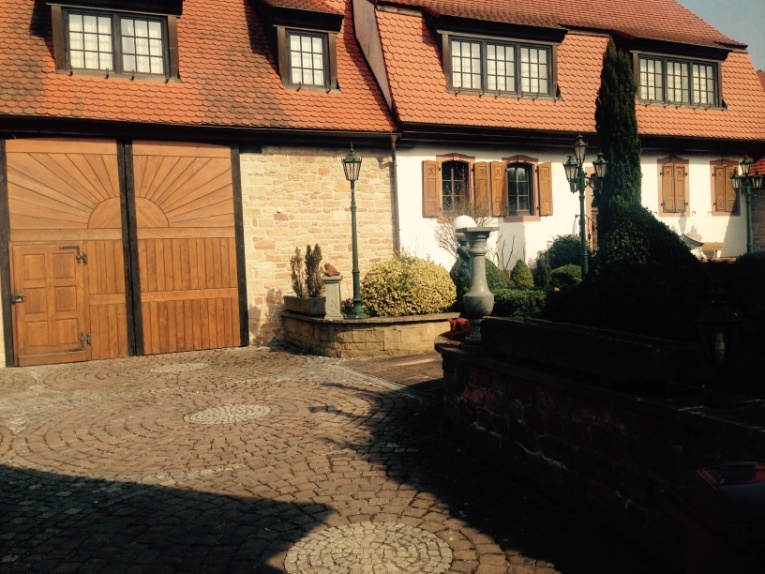 In combination with a Smart Meter Comexio is a adequate energy management system. With the smart meter you have your total electricity consumption and many other important parameters firmly in your sight. With the EnOcean unit you can extend your installation with wireless components of the battery-free EnOcean wireless standard. The 9 channel dimmer is for your atmospheric indirect lighting, in any colour you wish. 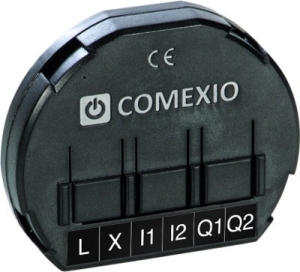 The COMEXIO Universal Dimmer is suitable for all dimmable lamps, regardless whether incandescent light bulbs, halogen, energy saving or LED lamps. 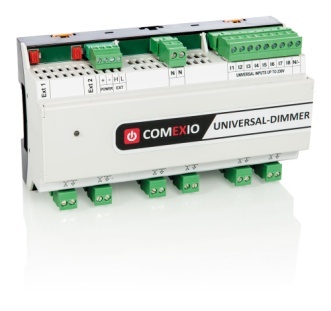 The Universal Actuator is the pure relay extension of COMEXIO. It is suitable for all connected consumers in and around the house. 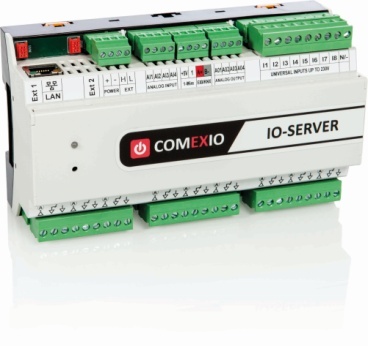 The COMEXIO IO Extension is the cost-effective extension of COMEXIO servers. 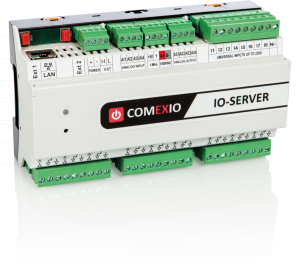 The IO-Server is the heart of the COMEXIO System. Here, the incoming and outgoing information is analyzed, developed and implemented. With a COMEXIO IO server you already have all that you need to get started with your intelligent building.